Revenue at Publicis Groupe, driven largely by digital operations, rose more than 3 percent organically in the first quarter, a “marked improvement” from the fourth quarter when it was flat, the French holding company said today. Revenue from digital activities, which now account for nearly 41 percent of all revenue, climbed 10 percent. First-quarter revenue rose to $2.2 billion, up 2 percent from the same period last year. Results were hurt by exchange rates that cost Publicis $93 million Euros or 4 percent. Without the exchange-rate impact, revenue growth was nearly 7 percent. Separately, in a Euro Business Media interview about the results, Publicis chief Maurice Lévy shrugged off speculation the company’s merger with Omnicom Group might fall apart even as he left open the door that could be a possibility. On April 11, J.P. Morgan analyst Alexia Quadrani issued a first-quarter agency results preview where she said "OMC/PUB merger outlook growing more uncertain following several delays, but we see positives in either scenario." Nine months after the announcement about Publicis and Omnicom's merger, its closing is now delayed until the third quarter, slowed by waiting for regulatory approvals in China, tax and domicile issues and, reportedly, disagreements between Lévy and Omnicom CEO John Wren about who will fill top management roles of the joint entity. The deal was originally expected to close early this year. 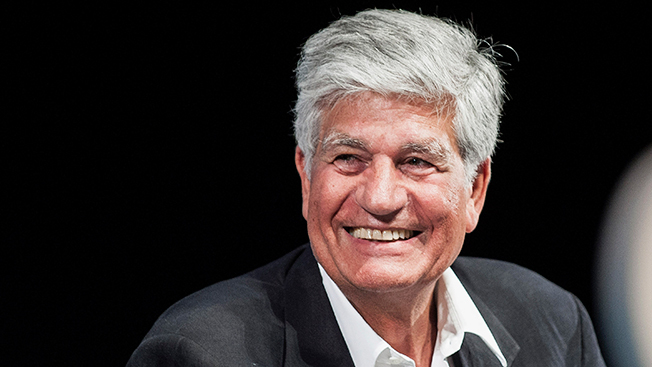 In the EBM interview, Lévy said that while he doesn’t believe there is “any reason why the merger may not happen,” if it didn’t come to fruition, Publicis Groupe is well-positioned to stand alone. “However, as we are in a ‘What if?’ situation, we should not forget that last year we have announced a strategy which is extremely clear. So, Publicis is today the best-positioned group, [better] than any of our competitors, with an extremely strong position in the digital world, extremely strong position in e-commerce and the most advanced group in the digital world. So, all this is making us a formidable competitor." Publicis said it spent $52 million on merger-related expenses in 2013; Omnicom took a $41.4 million pre-tax charge last year for professional fees concerning the merger. While digital led first-quarter results at Publicis Groupe, revenue from analog operations declined about 1 percent. The company said the Eurozone remains feeble, despite some improvement in Germany and the U.K. The U.S., where revenue rose more than 4 percent, was buoyed by the economy’s upturn and the company's share of digital operations there. Certain emerging markets remain challenging: Revenue in China was flat at 0.2 percent, although better than the 11 percent decline in the fourth quarter; India was down 18 percent. Publicis Groupe is maintaining its full-year growth potential of more than 4 percent, although it said growth in the second half will not be as strong as in the first because of higher 2013 comparisons.